I have to admit that Glittering Days is pretty addictive and frankly, just 45 minutes on cable five days a week is plain torture. THE PLOT IS MOVING TOO SLOWLY! I can’t wait for all the misunderstandings to clear up! How did Ling Fung and Kam Yin discover their blood-ties? Did Ling Fung clear up the misunderstanding and forgive his mother? Why did Kam Yin end up in jail? Did Ling Fung accept Yuk Lan? Did Ling Fung sing again? Did Huang Ying die? Did Carol eventually acknowledge her mother? Will Carol and Hong Zai end up together? I couldn’t wait hence I went to crunchy to rewatch all the 30 episodes and all the questions in my heart were answered in one single night. Now I’m paying back with the two eyebags under my eyes but… at least now I know what is the ending like. Glittering Days is really good. The first half is hilarious with the squabblings between Kam Yin and Ling Fung and the bungle-ups by Yuk Lan, the country bumpkin. The later half is filled with tears and sorrows, back stabbings and betrayals. Kam Yin in her younger days. Inspector Hua finally tracked down Ling Fung at Temple Street. 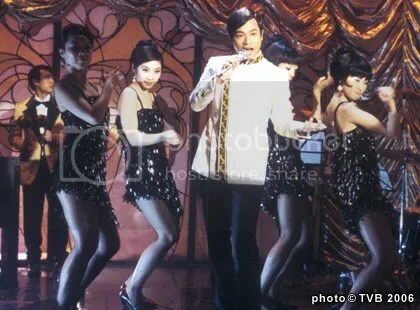 Ling Fung in his glorier days at the club. This entry was posted in Uncategorized and tagged canotnese, days, glittering, serial, tvb. Currently, I’m hooked on this TVB series on cable. Yuk Lan‘s (Charmaine Sheh) father is Ling Fung‘s (Roger Kwok) benefactor when he took in the orphaned boy back in the village years ago. She had a crush on him and years later, she makes her way to the city to find him, where he is a prominent singer at a club. 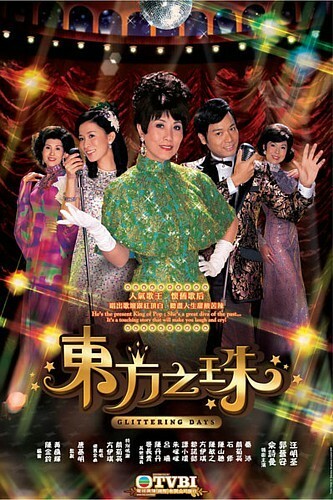 Due to numerous misunderstandings, Ling Fung and Kam Yin (Liza Wang), a singing teacher, became arch enemies. Kam Yin accepted Yuk Lan as her student to compete with Ling Fung in a singing competition not realising that she had speech disorder. By a twist of fate, Yuk Lan had an accident and her speech disorder was cured. 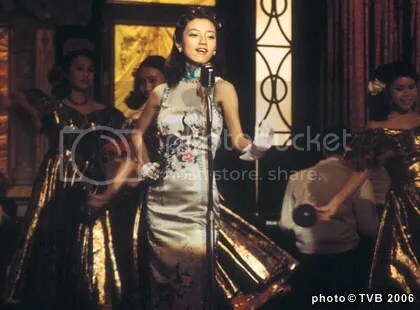 Under the guidance of Kam Yin, she became a popular singer where her greatest dream was to sing a duet with Ling Fung on stage. Ling Fung had many admirers and one of them was Inspector Hua‘s wife. She helped him to produce his own albums and turn up to support him at the club every night. Her infatuation with him turned into an obsession where she ended up taking her own life when Ling Fung rejected her love. Someone tips off the police with indications that Ling Fung is somehow related to the death of Mrs Hua. 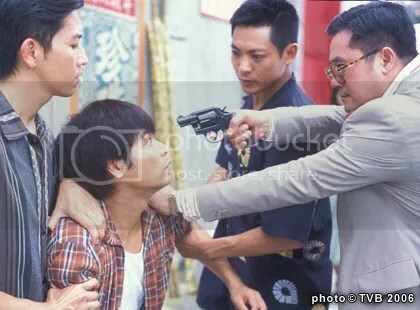 Inspector Hua swore to get even and wrecks all of Ling Fung‘s performances. 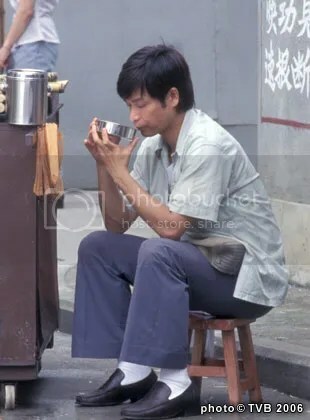 Ling Fung escaped to Temple Street incognito where he retired from the show business selling sugarcane by the roadside. 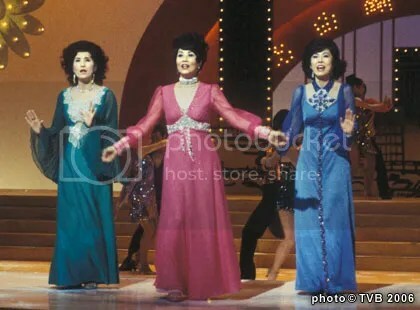 The “Three Golden Flowers” makes a comeback at a charity show. Huang Ying sings the last song for their album before dying of cancer. The dancers thought Ling Fung is a pervert due to a misunderstand earlier when they thought he peeped at Feifei in the dressing room. Yuk Lan undergoing training to be a refined lady. Ling Fung forlorns for his mother. Ling Fung reunites with his mother, Kam Yin. This entry was posted in Uncategorized and tagged days, glittering, kwok, liza, roger, serial, wang. Where is the sense of nationhood? I’ve just gotten news that ITE Bishan have scrapped away with morning assemblies. In fact, ITE Bishan held its last morning assembly on the 14th of January, 2008 and with that, all the campuses in ITE College East, West and Central no longer holds morning assemblies. Wasn’t it a part of everyday life that Singapore schools start their day with the singing of the National Anthem as well as the recital of the National Pledge? Have we lost our patriotism? Is the oath of allegience to our homeland no longer important? When I first went to school as a clueless five year old, I was taught to observe this ceremony with solemnity and respect. I was told to remain perfectly still while the National Anthem is playing and that I shouldn’t fidget around unnecessarily. As I sang the Anthem and recite the Pledge each morning, it reaffirms my identity as a Singaporean. It also reminds me how hard Singapore have fought for her Independence and how the racial riots have almost destroyed us in the process hence, I’m mystified over ITE‘s decision to scrape this meaningful ceremony. As a ex-Student Councilor from the ITE, I have seen for myself how students fidget around, scratching here and there, chatting away and even fanning themselves with the newspapers while the National Anthem was still playing. Is that the utmost respect they had for their country? Does the younger generations today even know the significance behind the National Anthem and the National Pledge? I shudder at the thought of Singapore‘s future! I’m now choked with bitterness that the melodious rhythem of the Majulah Singapura and the unison recital of the National Pledge will no longer echo in the amphitheatre. This entry was posted in Uncategorized and tagged anthem, assembly, harmony, independence, majulah, morning, national, pledge, racial, singapore, singapura.